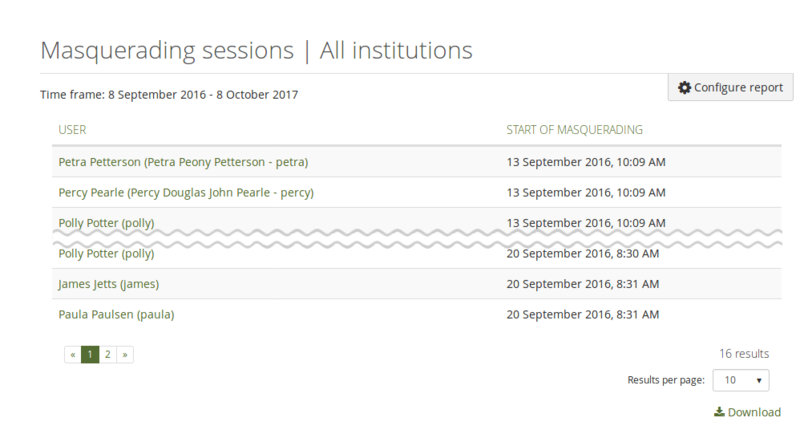 You can see a list of all new features on Launchpad or check out the user-focused features via the “New in Mahara 17.10” index entries. All statistics and user reports were combined into the new “Reports” section in the Administration area. Additional reports were created to report over actions by people in more detail. The “Group pages” block was renamed to “Group portfolios” block to indicate more clearly that pages and collections can be displayed via this block. Group members who have not submitted a portfolio into a group that allows for submissions are listed on the group homepage in the “Group portfolios” block if submitted portfolios are displayed.